Since the first years of activity, we have known the importance of studying and accurately checking the incoming raw materials and the outgoing final products. Indeed, since the beginning, we have felt the need to implement analysis laboratories within the sites. 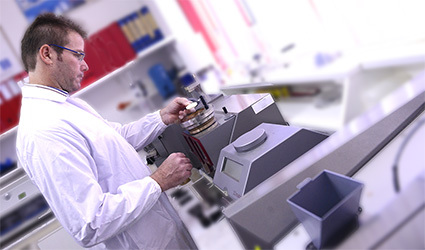 Both the companies dispose of 2 physical-chemical labs where qualified personnel operates. Each single reception of wheat and each batch of product, before being approved, go through continuous controls and are monitored using several instruments. We have available: Alveograph, Flourgraph, Reofermentmeter, Extensograph, Linfraneo and SD matic, Mixolab, Glucomatic, Falling Number, Nir. analyzer. We also have automatic online analyzers that can constantly monitor the products, also during processing phase. We also have a little bakery inside, where we perform tests for both for new recipes and for daiy production. We want to dedicate an entire page to our plants cause we are very proud of them. During the years we invested at our best and now we own advanced technology jewels. 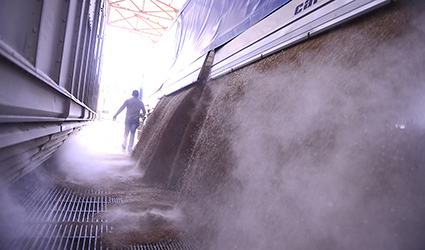 In Cassibile production plant wheat reception happens in two independent pits; 3 emptying systems, independent too, allow a maximum rate of 350 tons/h. We can unload 3.000 ton ships in a single day. Our storage capacity is of 8700 tons. The milling plant is a Buhler signature plant. Completely restored in 2011, it has a diagram that can meet the ambitious project requests, and the most important of these is to produce high quality flours with low energy consumpion. We have realized innovative projects for many years, in order to save precious electrical energy. We dispose of more than 5,5kw powerful electrical engines of the best efficiency class and several inverters to “dose” only the energy which is necessary to the machines, allowing to consume “only” 5kwh per milled 100kg. We produce part of this energy with a photovoltaic system. Tanks for final products contain more than 500 tons of flour each, and in the warehouse we have space for 11.000 palletized sacks. Side products are stored in cells with total capacity of 300 tons, and, through a shifting carrier we move them at 30 ton/h with a single finger on a remote control! The milling plant in Palazzolo Acreide, also provided from the swiss multinational corporation Buhler, mills 240tons of durum wheat on a daily basis. Brand new built and started in 2009, it includes machines and accessories for raw material reception, pre-cleaning, cleaning and milling. In the cleaning section we have an high efficiency optical selector, model Sortex z3+, that ensures quality from a microbiological stand point: with the combination of advanced high definition cameras and algorithms that calculate the shape of the products, it can identify and eliminate foreign bodies and point defects also from little grains infested with fungus, mildew or bacteria. We also have a wheat peeling plant that allows to decontaminate the grain surface on the entire mass of the product, so granting the production of high quality flours. The heart of the plant is therefore the milling; it is made of 16 laminating machines with four cilinders plus one with 8 cilinders, together with the plansichters that allow the sifting of the several parts of the wheat grain and with the purifiers that grant accurate cleaning of the flours. 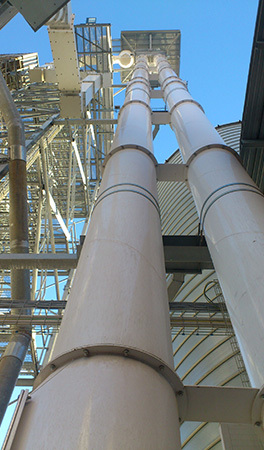 Food safety was the main motivation that brought us to restore, in 2011, the milling plants, and to build new silos for raw materials and side products. 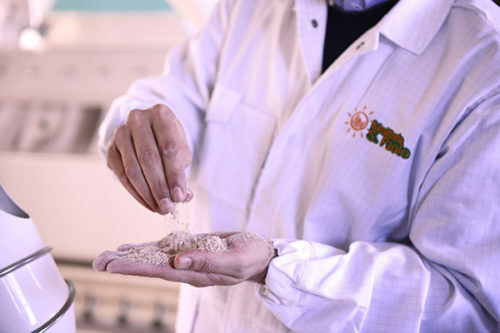 After more than half century of activity, for us, it is very important to ensure healthiness of the products, both flours and animal feed, by protecting them from contaminant agents. Active participation to projects with Agrarian Faculty of University of Catania, with the aim of researching and testing new techniques of pest control using only heat and pheromone rather than insecticides. Training and awareness of our personnel with frequent update courses and precise operating notes aimed to respect of the prescripted rules. For production criteria, the company applies the contents of the “Pacchetto Igiene”, and in particular the criterias adopted in Reg. 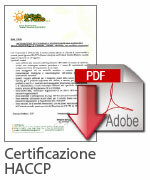 CE n. 852/2004 about hygiene of food products, in CE n. 178/2002 about traceability, D. Lgs. 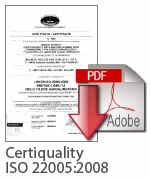 193/2007 – Normativa HACCP and in finally the criteria imposed by other EU law regarding contaminants for food products. Moreover, the company has a system for Management of Quality, aimed to improving the efficiency of the Company Organization and to the Satisfaction of the Customer, as per UNI EN ISO 9001:2015 and Agroindustrial Supply Chain Traceability as per UNI EN ISO 22005:2008. Finally, we can offer to our customers the bio flours, as attested by certification of conformity released by control organism “Suolo e salute”. This company, thanks energy requalification, adheres to “CO2 Off” project and contributes to WWF objectives of reducing CO2 emissions to fight against the climate change. We have followed an enviroment-friendly route for more than 10 years, and we want to realize our products minimizing the impact on the ecosystem! It is a contiuous commitment and we want to share it with our customers. We recover from waste all that we can recycle and our investments were also finalized to the purchase of new machines with limited emissions of powders into the atmosphere. In 2011, thanks to the analisys of energy consumption started in 2006 and to always innovative projects realized in our production process we could obtain the prestigious white certificates. 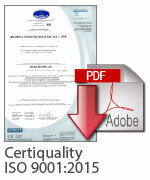 They certify our commitment for the energy saving and environment protection. Shouldn’t this be enough, in 2012 we installed a photovoltaic system on the rooftops of our warehouses, and afterwards, participating to a project with WWF, we added a new and bigger one right next to the plant. 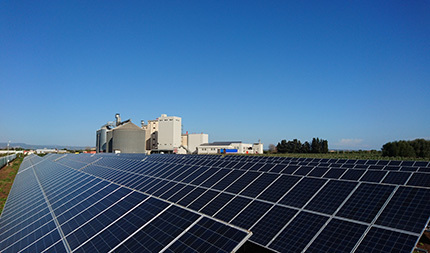 Today our plants, during day-time, are 100% powered by renewable energy.